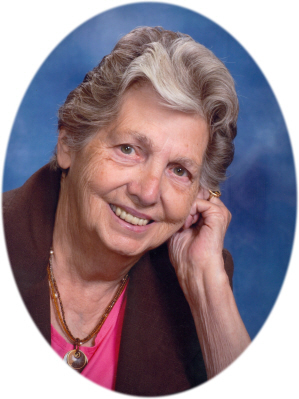 Dorothy "Granny" McElhaney, age 88, of Ashley, MI, passed away Sunday, March 24, 2019 at her home. Funeral Services will be held at East Washington United Brethren Church, Ashley, MI on Thursday, March 28, 2019 at 1:00 P.M., with Pastor Lee Palmer officiating. Burial will take place at Ford Cemetery Gratiot County, MI. Visitation will be held on Wednesday, March 27, 2019 from 2-8 P.M. with family present from 2-4 & 6-8 P.M. at Smith Family Funeral Homes, Elsie, MI, and also on Thursday, March 28, 2019 from 12:00 P.M. until the time of the service at the church. Dorothy was born in Royal Oak, MI on February 20, 1931 the daughter of Walter James and Alma Harriet (Bridewieser) McGuire. Dorothy married William Kenneth McElhaney on August 8, 1956 in Chattanooga, TN. After 43 years of marriage, he passed away on January 18, 2000. Dorothy loved doing crafts. She worked at McDonald's in Ithaca. Dorothy loved children and was involved in the Grandparent Program at Ithaca Schools to help with reading. She raised many dogs over the years. Dorothy was very involved in her church, East Washington United Brethren Church, where she taught Sunday School. She enjoyed being involved in the church prayer chain. She is survived by her daughter Wanda Gilbert of Red Bank, GA; son Michael McElhaney of Newberry, MI; daughter Karen and Doug Stoneman of Ashley, MI; son Gary McElhaney of St. Charles, MI; daughter Renee and Sam Weeden of Merrill, MI; daughter Brenda Laramore of Ithaca, MI; daughter Linda Yancer of Perry, GA; 26 grandchildren, and 60 great-grandchildren. Dorothy was preceded in death by her parents, husband William Kenneth, son Ron McElhaney, daughter Sheira Goodwin, and 2 granddaughters: Judy McElhaney, and Staci Lewis.